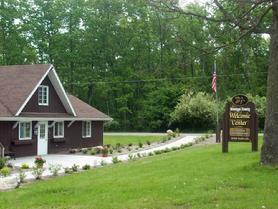 The Newaygo County Conventions and Visitors Bureau has joined with the Newaygo County Tourist Council at their location in the old sports park on M37 north of the City of Newaygo. Stop in to explore all your travel and recreational options with brochures, maps. Our staff would be happy to share information about all the many adventurous activities and lodging selections in our area. You can reach the trails from the sports center and enjoy snowmobiling or snow sledding. There is plenty of parking.